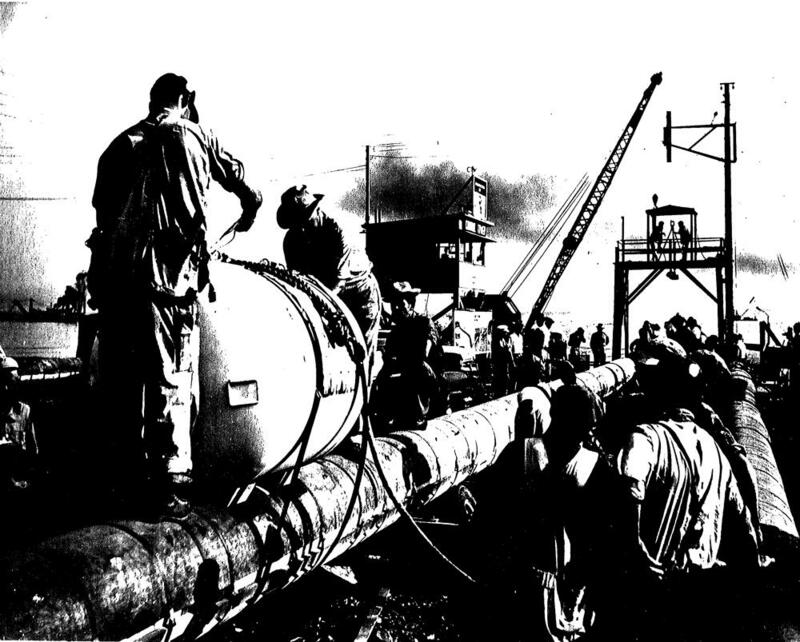 A photocopy of a photo of Line 5 being installed in 1953. 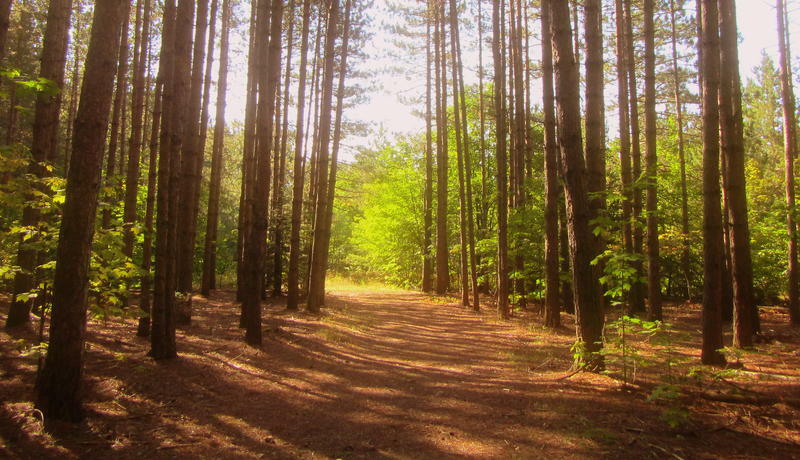 The state has no regulatory authority over hazardous liquid pipelines in Michigan. Attorney General Bill Schuette has made it public that he wants to eventually shut down the pipelines. His office asked for more details from the company last March. The AG's office received the documents about a month ago. Spokesperson Andrea Bitely says it took that long to prepare the documents for public release. “We spent the last couple of weeks preparing this website and making sure we had all the documents loaded correctly, and making sure they were sorted in a way that made sense,” she said. You can view the documents here. 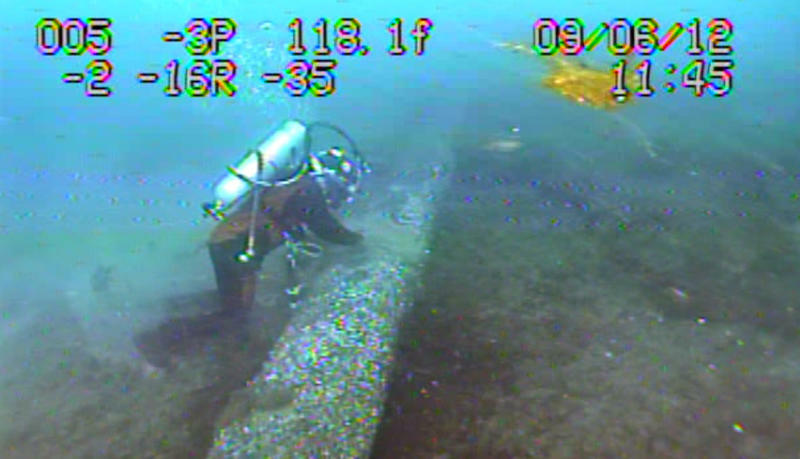 A total of 141 metal loss features have been detected on the inspection survey of which the deepest was 37%. These are distributed throughout the pipeline. Approximately 10% of the total number of spools have metal loss reported within them. A total of 294 metal loss features have been detected on the inspection survey of which the deepest was 41%. These are distributed throughout the pipeline. Approximately 17% of the total number of spools have metal loss reported within them. Enbridge maintains that these metal loss features are within safety thresholds. The federal government allows pipelines to operate when there's up to 80% of metal loss in the pipeline. The next inline inspection is expected in 2018. The company took issue with "worst-case" spill scenario maps produced earlier this year by the University of Michigan's Water Center. When we asked if they had spill maps of their own, an Enbridge spokesperson told us, "we don't have anything we can share publicaly as far as spill maps." 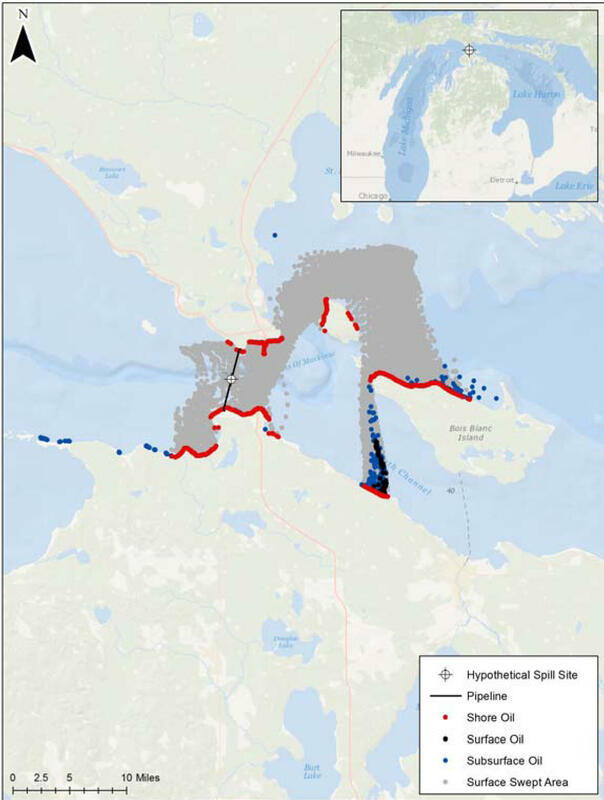 An image from a worst case scenario spill map produced for Enbridge in 2013. Today's document release shows that Enbridge contracted with RPS ASA in 2013 to produce its own spill maps. 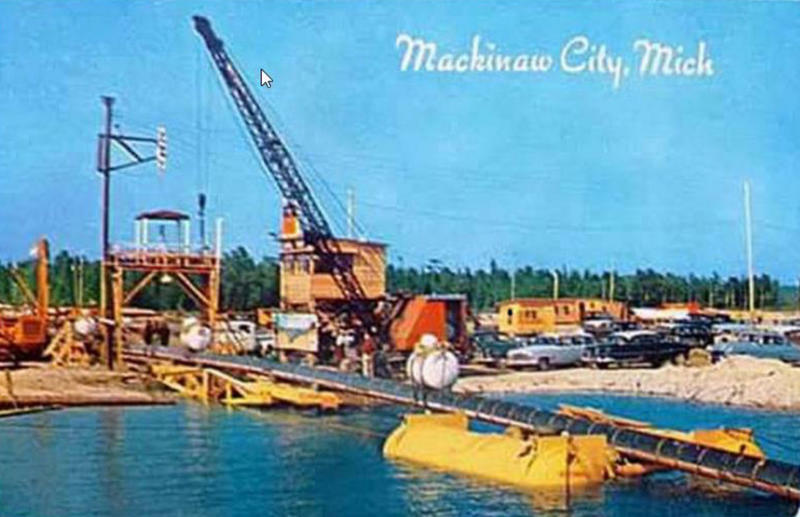 The company also has some information about what it would cost to clean up the oil should it spill in the Straits of Mackinac. It had a contractor evaluate two "worst-case scenario spills" for them. The estimated cost to clean up a worst‐case discharge in the Straits would range between $450MM and $1B depending on seasonal conditions. The estimate shows the cost of a spill cleanup goes up if it were to occur in the fall or winter. 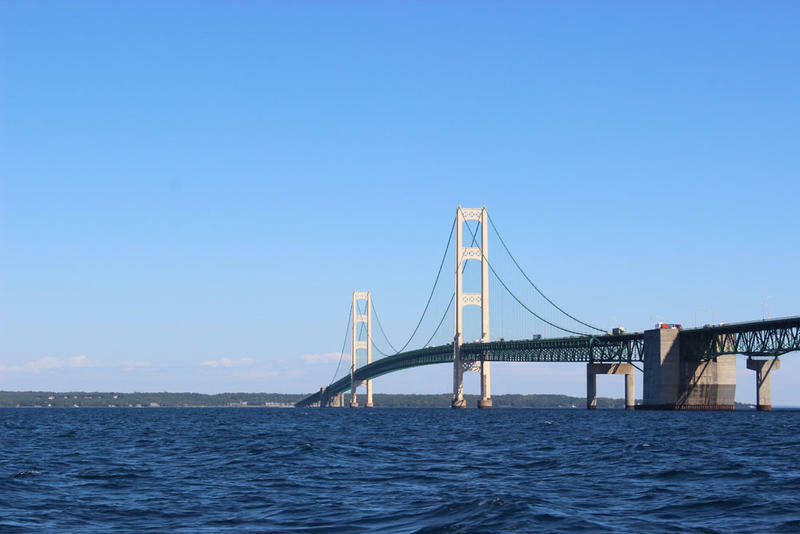 The state is working to hire an outside company to look over the risks and alternatives for the pipelines in the Straits. Attorney General Schuette's office says they’re still going through proposals for that work now. *This post was updated on 5/16/2016.